Development began on CasinoRPG way back in the fall of 2012 with the goal of creating a truly cross-platform gaming experience. We focused on browsers because we were (and still are) believers in the power of the open web. 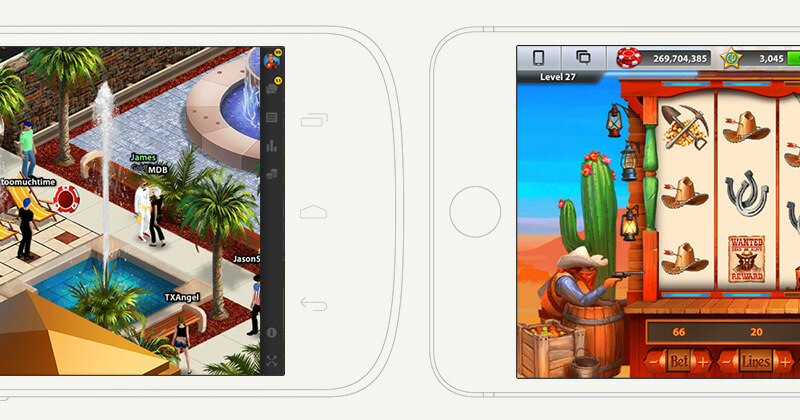 Our Kickstarter re-emphasized this cross-platform future with stated goals of releases on both iOS and Android. We are nearing the end of 2017, and CasinoRPG is still a largely desktop-centric experience. However, that is all about to change in a big way! We are excited to announce the release of CasinoRPG on both the iOS App Store and Android Google Play. It hasn't been easy taking a large screen experience and making every aspect of it work on phones/tablets. We've been slowly updating every bit of the game over the last year-plus to seamlessly scale to all screen sizes. This isn't just a companion app, it is the full CasinoRPG experience. You can play all of your favorite casino games, manage and design your casinos, access global/private chat and so much more! The most exciting part is that you don't need to start fresh on any platform. Simply login on any device with your same user account and pick up right where you left off. Unlike with many games, there is no segregation between platforms. Whether you are on your phone or computer, you are able to play with everyone in real-time. As for how we pulled this all together, the magic lies with the open-source Cordova project. The vast majority of the work in making this possible was within the CasinoRPG code-base itself. This means that the mobile enhancements translate to the browser (as we announced earlier this year). However, we've found that mobile browser limitations have led to substandard gameplay experiences. Moving to the app stores was the logical next step to provide the best experience for our players, and Cordova has made that possible without rewriting the entire game from scratch. We are still able to provide the same updates at the same time to all players since the vast majority of updates go directly to the web view. However, we now get access to the reach and simplicity of the App Store and Google Play. This is a big step towards our original goal of allowing our players to play anywhere they want. But, we aren't done yet! We have a Steam version of the game in the works and we are also looking into bringing CasinoRPG to consoles in 2018. Best of all, we are able to continue using web technologies to enable these truly cross-platform gaming experiences.